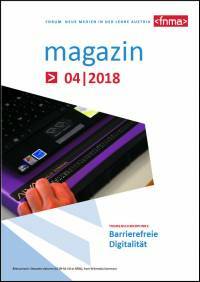 Im neuen Magazin des Vereins Forum neue Medien in der Lehre Austria ist der Schwerpunkt einem sehr wichtigen Thema gewidmet: „Barrierefreie Digitalität„. Vielen Dank an alle Autorinnen und Autoren die hierzu einen Beitrag geleistet haben. Auf alle Fälle lesenswert für alle die in unserem Themenfeld arbeiten. Es freut uns, dass es nach einem Jahr Arbeitszeit gelungen ist, das Portal des Vereins Forum Neue Medien in der Lehre Austria, kurz fnma, in neuem Glanz erstrahlen zu lassen. 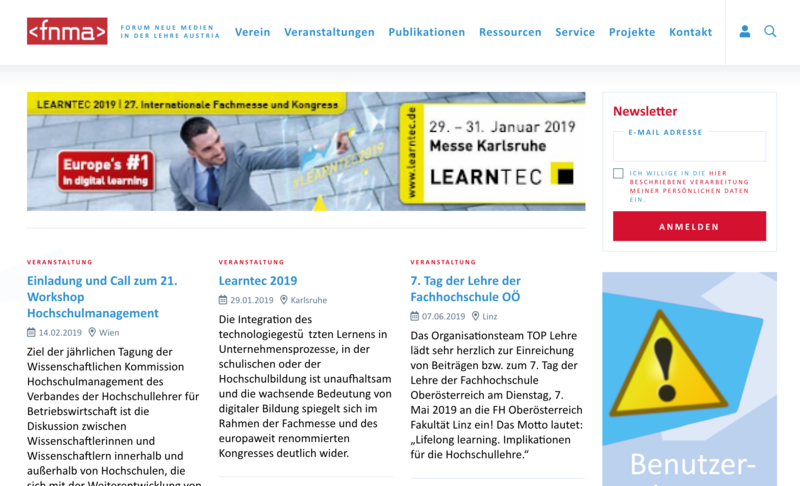 Darüber hinaus wurde auch das eScience-Portal erfolgreich in die neue Website intergriert um so noch mehr Service für unsere Mitglieder und alle am Thema interessierten Personen bieten zu können. Our this year’s contribution to the eMOOCs conference is about „Does Gamification in MOOC Discussion Forums Work?„. The chapter is dealing with the idea to enhance a discussion forum with different gamification elements. Massive Open Online Courses (MOOCs) are a new form of learning environment aimed towards accessibility and openness using contemporary technologies. One of the MOOC’s key features is the social interaction which usually takes place in discussion forums. This article focuses on reworking and analyzing the existing iMooX forum by enriching the new design with gamification elements. The intended objectives aim at refreshing the current style and improving its handling and usability. This article provides our experience of this implementation as well as examining whether or not the gamification ele-ments can help increase the participation rate and the teacher-to-student and student-to-student communication exchange. Results of the new design showed a good user satisfaction and a slight positive impact.